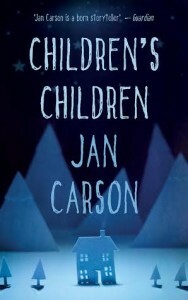 Two children watching their parents argue inside a greenhouse, an armoured boy and his troubled sister, a human statue who’s lost the ability to move and a floating six year old tethered to the backyard fence: the characters in Jan Carson’s debut story collection are all falling apart in their own peculiar way. Absurdist, allegorical and disturbingly convincing, these characters are both wrongdoers and victims of another’s wrongdoing. They are people marked by life yet struggling to forge some kind of future. Mixing Carson’s distinctive magic realist voice with a more traditional brand of Irish literary fiction, Children’s Children explores the concept of legacy and the influence of one generation upon the next. These are darkly humorous stories which are both heartbreaking and hopeful and gently critical of post-conflict Northern Ireland. Jan Carson is a writer and community arts development officer currently based in Belfast, Northern Ireland. Her first novel,Malcolm Orange Disappears was published in June 2014.